Roof framing involves a lexicon all its own. As you can see in the illustration at left, roofs have hip rafters, ridge boards, jack rafters, and more. When working on a roof, it pays to be familiar with these terms. The larger, exposed end of a shingle. In profile, the framing of a conventional pitched roof forms a triangle: Mirrored pairs of rafters meet at a ridge and are connected across the base by a ceiling joist. The inherent strength and integrity of the triangular form makes the roof a sound structure. The bottom “chord” of the triangle—the system of ceiling joists—keeps the house’s walls from spreading apart under the significant roof loads pushing down and outward. A collar tie—sometimes called a collar beam—runs parallel to the ceiling joists but higher. Each collar tie connects a matching pair of rafters at mid-span, stiffening the rafters and strengthening the overall structure. Above rooms with vaulted or raised ceilings, collar ties sometimes double as the ceiling joists, providing the essential lower chord of the triangle, and may also provide a backing for attaching a flat portion of the ceiling. Plywood or oriented-strand-board (OSB) sheathing used as a base for securing roofing materials. An L-shaped metal strip positioned along a roof’s edges to allow water to run off the roof without running down the eaves or siding. On a sloped roof, the horizontal underside that projects out from the house wall. The part of a shingle that is exposed to the weather, usually less than half its length. 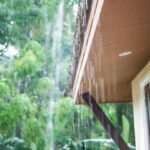 Asphalt-impregnated roofing paper that creates a secondary, watertight barrier between many roofing products and the roof deck. Metal pieces that keep water from seeping into intersections, such as valleys or joints at vertical walls, or around roof penetrations such as chimneys or vent pipes. 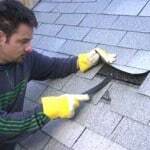 Roof pitch is the measure of a roof’s slope or angle of incline. Is there a difference between pitch and slope? Yes…and no. To understand how to properly use these terms, a brief lesson in roof geometry helps. Pitch is expressed as a fraction, such as 1/4, each number representing the coordinates of an angle. That angle is based on a roof’s rise (height) and span (width). Pitch is the rise over the span. Say your house is 38 feet wide and the gable roof has a 1-foot overhang on each side; that makes the roof’s span 40 feet. From the eaves to the peak, it’s 10 feet high—that’s the rise. Figure 10/40 and reduce that to 1/4. It has a 1/4 pitch. Roof slope is expressed as the ratio of a roof’s rise (vertical distance) to each foot of run (horizontal distance). 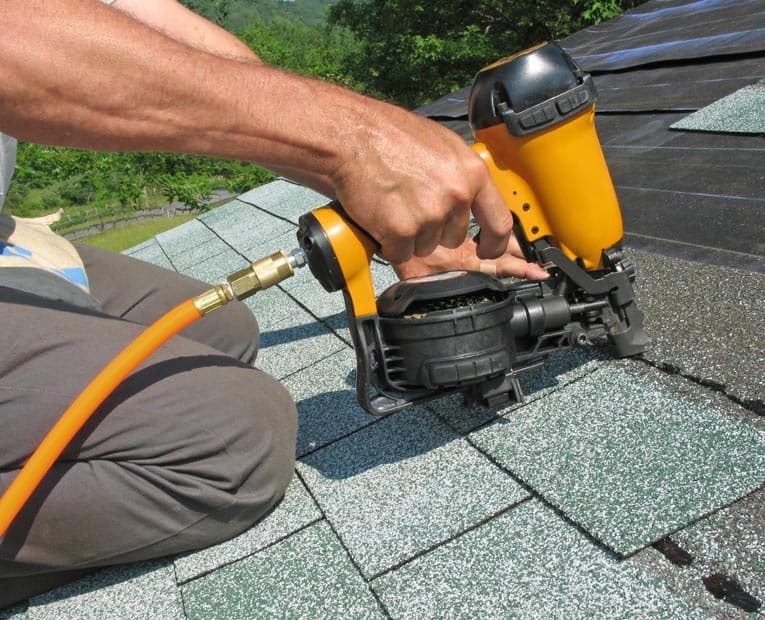 A “4-in-12 pitch” means the roof rises 4 inches for every 12 inches of horizontal distance. The word “pitch” was first used in the early 17th century to denote “the highest point.” This referred to everything from musical sound to the height that a falcon reaches before swooping down to attack its prey. The framework that supports the roof deck and roofing. On a sloped roof, these are the angled timbers on the underside. The sloped edge of a roof over a wall. A measurement of roof area that equals 100 square feet (an area 10 feet by 10 feet). A roof’s slope is the number of inches it rises for every 12 inches of horizontal “run.” A roof with a “4-in-12 slope” rises 4 inches for every 12 inches of horizontal run. The same roof has a 4/12—or 1/3—pitch. The terms “pitch” and “slope” are simply two different ways of expressing the same measurement. A soffit is the horizontal underside of a roof overhang, an archway, a staircase, a ceiling, or a similar architectural component. From the Italian “soffitta” for under and “figgere,” to fix, the word “soffit” dates back to the days of early Palladian architecture. 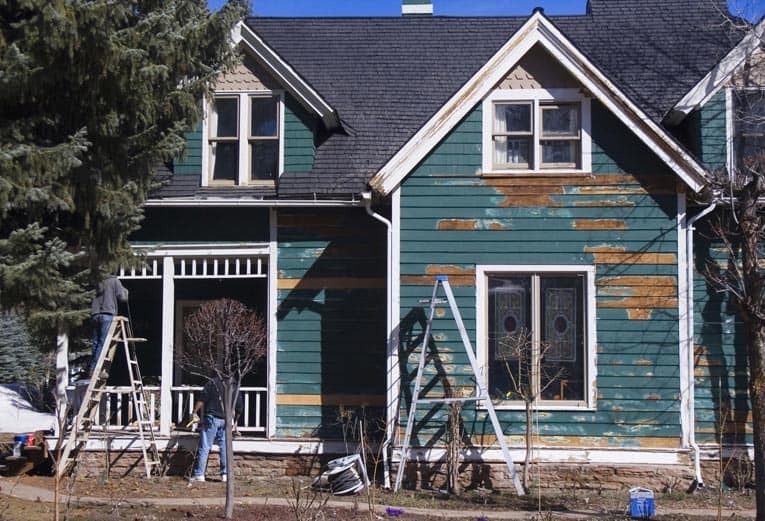 Typical soffits on today’s houses include the flat area under the eaves where vents provide attic ventilation, the lower perimeter of a drop ceiling, and the ceiling that is mounted to the underside of a staircase. 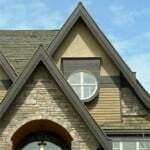 The angle formed where two sloping roof surfaces intersect.